WATER IS IN EVERYTHING, connecting us all in one way or another, including our family’s wealth and health. But here’s the problem: water’s value went missing from the economy when the EPA came on the scene in the 1970s. The government gave water a much higher value, but it never disclosed that value to the American people. As a result, we have experienced water inflation ever since. Over time that hidden inflation placed a new burden on the financial dreams of the nation. The only way to close that gap and mitigate the rising seas and shrinking freshwater supplies is to put water back in our money. Ultimately we only have two choices on how the price of water will rise in our future: on our terms or someone else’s. Will we invest in our children and grandchildren through water, or pay tolls to corporations for it? Waconomics offers domestic and global solutions for citizens, corporations, and governments alike. We can save the American dream with water! 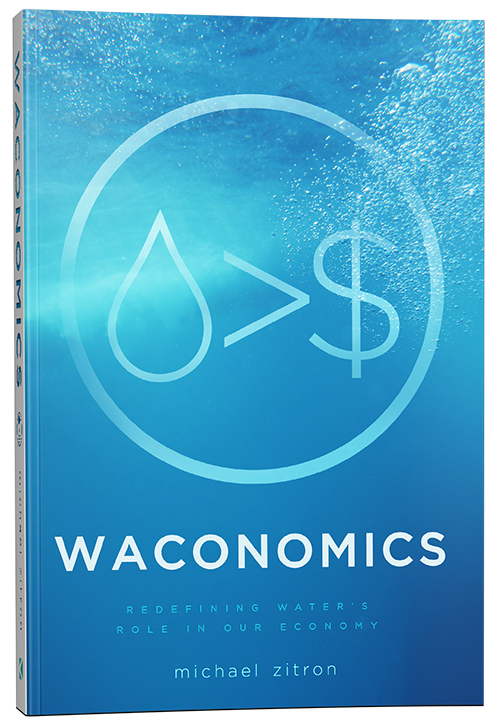 Michael David Zitron redefines water’s role in our economy with a conversational approach and a science nonfiction appeal. 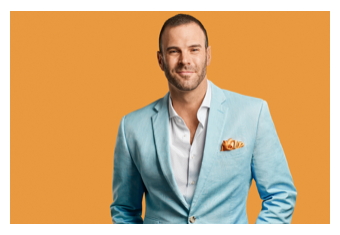 He is a graduate of Old Dominion University with an emphasis in international business and Latin American affairs. Zitron worked undercover inside US public utilities, he traded physical commodities globally, and sat at the round table with the heads of the world’s largest corporations. He timed the stock market in conjunction with the earth’s climate, and his discoveries are startling. Zitron believes the US must lead the world as a beacon for new water policies. Electrified with purpose, he etched a cause in Waconomics (a.k.a. water economics) and founded the 501c3, Water M. Mission. 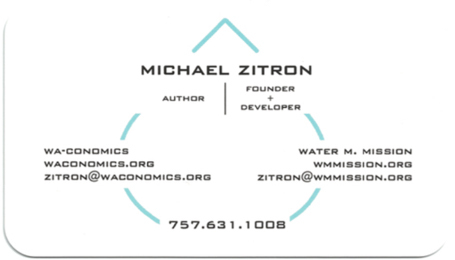 Zitron is seeking out global citizens to join him and be water’s voice.